Maybe it's because I'm from the country, but come the weekend, there's nothing I love more than stretching my legs and getting some fresh air. Autumn's the perfect time to get exploring new areas and to see some stunning scenery in between the seasons (tongue twister much?). So if you're a city centre liver like me, here's 5 walks to get you outta Manchester and into more calming climates. There's a reason Didsbury is so popular. With its quaint cafes and varied bars, it's the perfect city escape for a day, AND a great place for an easy stroll. Head to Fletchers Moss and make your way through the rockery, row of trees and alongside the river before finishing up at the newly opened Botanist for one of their legendary hanging kebabs and a pornstar martini or three... They have live music so it's the perfect Sunday wind down after a busy week. How do I get there? Nearest trams are East Didsbury or Didsbury Village. Nearest train is East Didsbury and takes a THIRD of the time. But on a weekend only one an hour so bear that in mind. To drive - anywhere between 15 and 30 minutes depending on traffic. How much? Less than a fiver on the tram and train. Difficulty rating? 1/5 - all pretty flat and no need to kit out like you're actually on a walk. If water's your thing but you don't wanna travel too far - put Chorlton Water Park on your to-do list. It's acres of water and some picture perfect settings and also a great shout if you fancy a morning run. Finish by stretching your legs back into Chorlton at the Laundrette for a Sunday roast. Because what else are Sundays for? How do I get there? Barlow Moor Road and St Werburgh's Road are the closest by but you'll still have a walk from these so this is one worth driving to. Less than 30 minutes on the tram and similar by car, again, depending on traffic. How much? Less than a fiver on the tram or if you're driving, take some cash for the ticket machines. Difficulty rating? 1/5 - another flat route so if you're after a stroll with ease - this is the one. 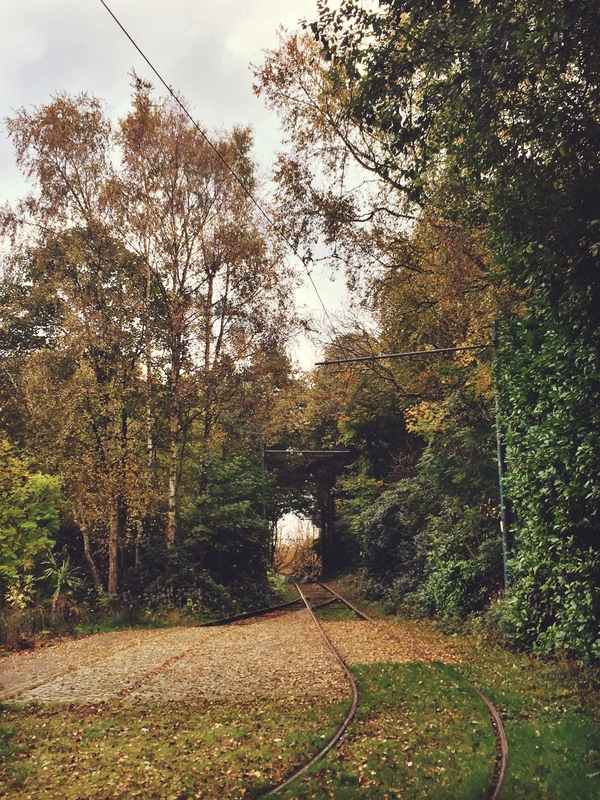 Famously known for hosting Parklife, Heaton Park has a whole lotta treats for a lengthy stroll. There's a boating lake open in summer, acres of grass, an animal farm for the kids, cafes, viewpoints and lots more to get stuck into. How do I get there? It has its own tram stop which is conveniently located right outside - you'll get there in less than 15 minutes on the tram - as for driving it takes a little longer. Allow yourself at least 30 minutes in case of traffic. Edging allll the way back to my roots - Mam Tor is a hugely popular walk and if you Google it, you'll see why. It is quite a drive compared to the others, but the views more than make up for it. But I'll warn you, it's not an easy breezy ride here guys. One for when you fancy a challenge, make sure you leave a full day to get up and down in daylight - start at the village end with more of a gradual incline before walking across to the tip of Mam Tor before taking approximately 38 Instagram snaps. And then descent on the stair side before walking back down into beautiful Castleton via Winnats Pass (another photo opp here!). There's SO much to do in Castleton from the quaint shops, old school pubs and underground caverns - it's one to get up early for - I promise. How do I get there? There are buses but you'll have a few connections and will take a WHILE, nearby train stations are Edale, Bamford and Hope but still not where you need to be, so if I'm being honest, you need your car for this one. How much? Petrol and your parking ticket - it is a hot spot so bear that in mind! Difficulty rating? 4/5 - eat a hearty breakfast before you tackle it and have lots of water on you, oh and a fully charged phone for those snaps. Yep, another Peak District gem (sorry not sorry) but my go-to hike if you will, if I fancy a beating. It's the highest point in the Peak District, which on a clear day, has stunning views across the county. There's several ways up but I'd recommend the Hayfield entrance next to the Sportsman Pub as there's parking and it's a pretty incline. You'll head past the reservoir before a hefty climb where I'd recommend a few breaks - just tell your mates you're getting a pic, they'll never know you're out of breath. It is a day job so leave plenty of time to get up and down in daylight and mind your footing on the way down depending on what route you take. And to reward yourself, because you've bloody earned it, head to the pub for a quick pint and pie. How do I get there? Nearest station is Glossop but it's then a 10 minute taxi ride to get you where you need to be, so another car one guys. Head from the centre toward Glossop via Hyde and then take directions to Hayfield and use Google to get to the bottom of Kinder Scout where the parking is. How much? Petrol and your parking ticket again. Difficulty rating? 5/5 - prep yourself - not one to do on a down day - but views are worth every second. I did Kinder Scout last year and although it was amazing, I'll be sticking to more local walks for the time being. Love Chorlton water park - it's my Sunday night ritual to clear my head!